One day in early May of this year, 13-year-old Allisa Taylor woke up in her Lithonia home with a slight numbness in her hands and feet. Less than a week later, Allisa was lying in a hospital bed almost totally paralyzed, while doctors sought to diagnose the cause of her sudden onset illness. Her illness turned out to be Guillain Barre Syndrome, an extremely rare disorder in which the body’s immune system attacks the nerves. As with Allisa, weakness and tingling in the extremities are usually the first symptoms, and the symptoms can quickly spread, eventually paralyzing the whole body. There is little understanding of what causes the disease; it strikes with little warning, although it often is preceded by an infectious illness such as the flu. Victims eventually can recover total body functions, but usually only after lengthy treatment and physical therapy. Allisa had the most severe form of Guillain Barre, and her illness rapidly developed into a medical emergency requiring hospitalization. After a week of treatment at Children’s Healthcare of Atlanta at Egleston, Allisa was transferred to Children’s Healthcare of Atlanta at Scottish Rite, where social worker Jackie Haar, LCSW, was assigned to her case. Haar serves as an advocate for pediatric patients and their families, doing whatever is necessary to insure a child’s safe recovery. While Allisa underwent extensive physical therapy, Haar provided emotional support and guidance to Allisa’s mother, Gloria Taylor, and worked hard to keep up the spirits of both mother and daughter during what became a slow recovery. Allisa’s hospital therapy lasted six weeks while her therapists worked with her to build up her strength and adapt her daily living skills to accommodate her illness. During this time, Haar worked with the Taylor family to ensure the accessibility of the Taylor home. Once the therapists felt that Allisa could move about with some level of independence, they recommended that she be sent home to continue her therapy and recovery. A requirement for patient release with an illness like Guillain Barre is that the patient’s home be suitable for a disabled patient to move around and function as independently as possible. A therapist from Scottish Rite went to Allisa’s home, but found several challenges that needed to be addressed before Allisa could be released to return home. Allisa would be unable to climb the stairs to access her second floor bedroom, but there was a room on the lower floor that Taylor could move her daughter into. The narrow hallways and doors, along with crowded rooms, could be impediments to someone in a wheelchair, but since Allisa’s therapists thought that she would be in a walker fairly quickly, they felt that this was a short-term problem that would resolve itself. However, the entryway into Allisa’s home presented a significant challenge to her recovery, and this was a problem that had to be addressed before the therapists and medical team would approve her return home. Several steep steps led up to and into the house, and these could be accessed with neither a wheelchair nor a walker. A ramp had to be built from the ground to the door before Allisa could come home. For Allisa’s family, the need for home modifications seemed an insurmountable problem in a situation that had already drained them emotionally and financially. Taylor had moved Allisa and her 17-year-old sister, Anastasha, to Georgia from Indiana just the year before, in order to fulfill Anastasha’s wish to attend college in Atlanta. Taylor knew no one in Atlanta; she had left family back in Indiana who could have provided full support during this time of crisis. In addition, the Taylors’ Lithonia home was a rental, and the landlord was being less than cooperative with their requests to be allowed to make the necessary home modifications to accommodate Allisa during her recovery. Haar advised and supported Taylor as she met with the landlord to explain to him the situation with Allisa. The landlord would not approve any internal modifications, but he did finally give permission to have a ramp built at the front entrance to the home. Taylor now had the challenge to find the funds to have the ramp built, and find a contractor who could build it quickly and on short notice. Haar referred Taylor to Christ’s Starfish Foundation and Friends of Disabled Adults and Children (FODAC). Christ’s Starfish Foundation was willing to supply the funds, and FODAC secured materials and volunteers needed to build the ramp quickly. Less than 48 hours after the initial home inspection by the counselors, Allisa was rolling into her own home to continue her recovery. “I was so grateful to Jackie, Christ’s Starfish Foundation and FODAC for the help they provided in our time of need,” said Taylor. In addition to the ramp, FODAC has since provided the Taylors with additional home medical equipment (HME), such as a walker and a shower bench, as Allisa continues her recovery. 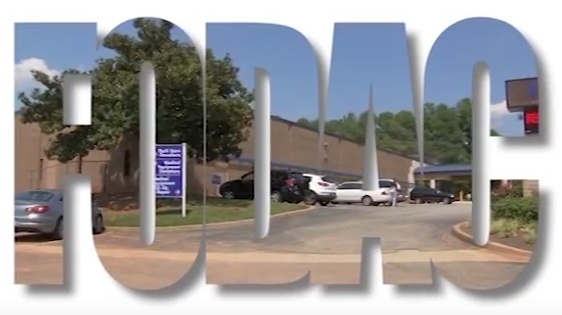 FODAC supplies over $10 million a year in HME to the disabled community in metro Atlanta, at little or no cost to the recipient. Allisa continues to recover slowly from her illness; she is participating in Children’s Healthcare Atlanta Day Rehabilitation Program to transition her back into normal life and school. Taylor is optimistic about her daughter’s full recovery. “She will get better, I know. She has made so much progress now, but we couldn’t have done it without the help of people like Jackie and Chris.